But some turn out perfect. This is one of those attempts. It’s not like I haven’t made a good few tote bags. They’re almost fool proof. I used one of my tote bags to cut a pattern. You can use the pattern provided here. Make your pattern out of newspaper. 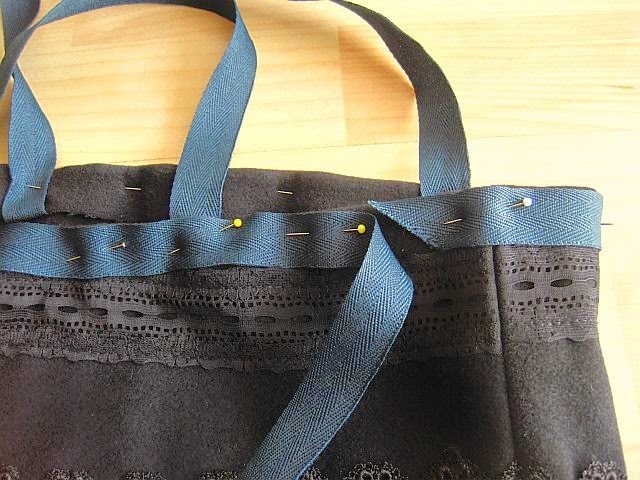 Pin it to your fabric and cut your basic bag. You need to cut two pieces. Hopefully your bag will be perfectly symmetrical. Should be a no-brainer but some fabrics do not sit straight. Especially ones with stretch. Next use a tape measure to mark every 5 centimetres on both pieces of fabric. Check that your markings are the same on both pieces of fabric. Why this step? When it comes to sewing the sides together, if your markings aren’t the same, your trimmings will not line up and look awful. Pin your trimmings in place. Check they line up, then go ahead and sew them in place. 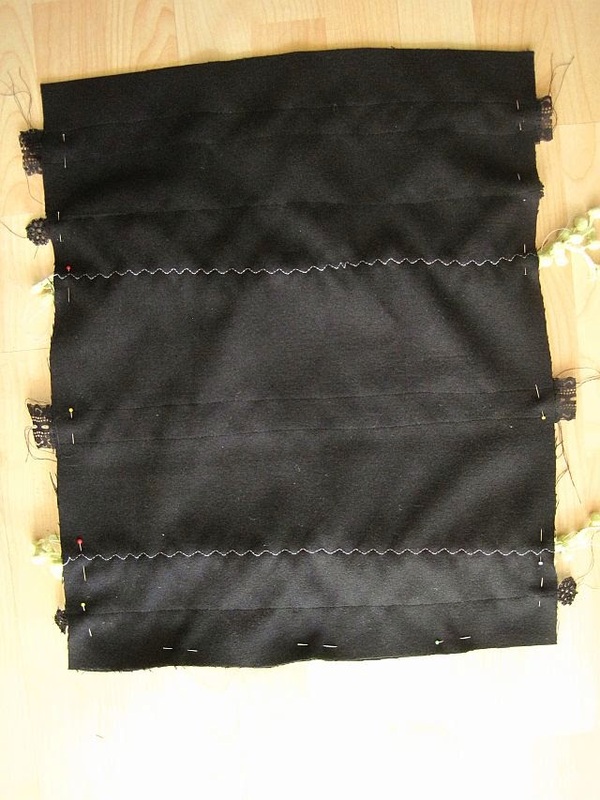 Sew the sides and bottom pieces together. 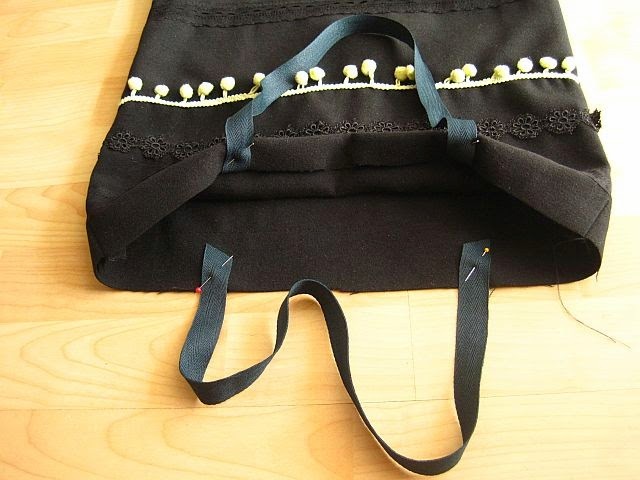 Attach your webbing or heavy duty tape to the top of your bag to make shoulder straps. See the picture. Make sure the straps are in the same place on both pieces of fabric. Pin and fold over. I wanted more tape to decorate the top but that step is optional. Sew all tape in place. 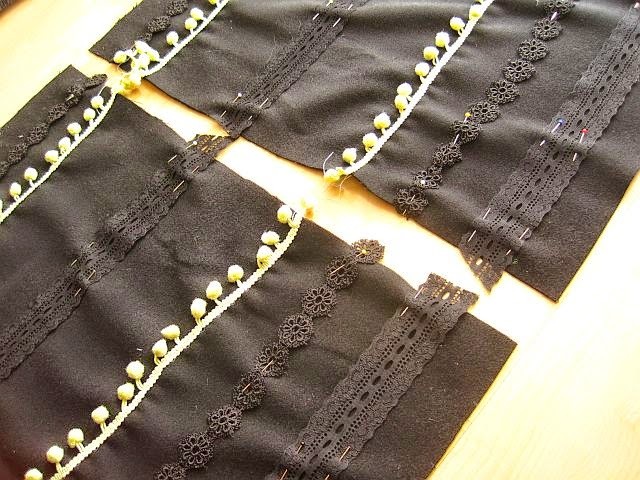 If sewing tape on top, make sure the ends of the tape are pinned under so they finish neatly. 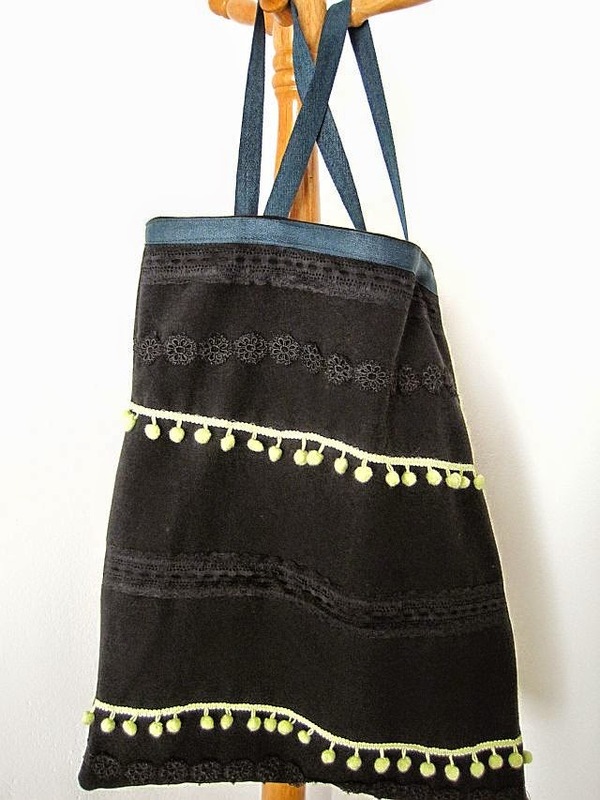 And that’s your Boho bag done! Now all you need is a music festival to flaunt it. For more inspiration and re-fashions visit the Greenie Galleries at the top of this page. Greenie will be back next week.